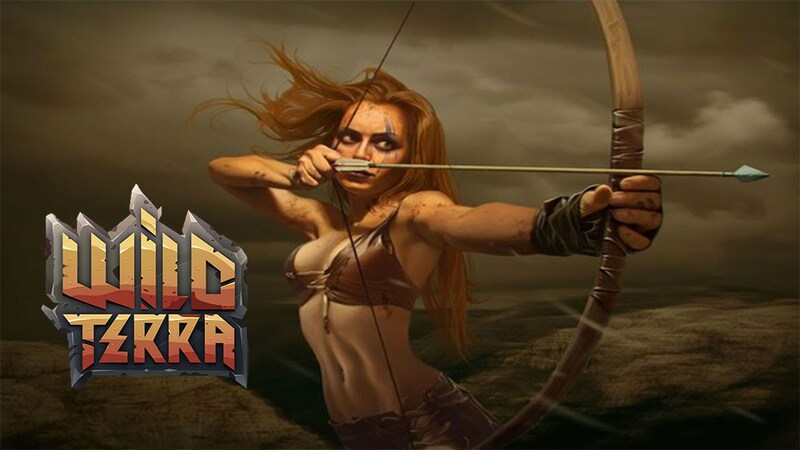 Sprinkle a little bit of addictive survival gameplay elements, add an improved Ultima Online look, finally throw in a load of people and what you have is Wild Terra Online! sign. I did what anyone else would do and I started to explore my surroundings. I had nothing on me, nothing at all, not even clothes, except underwear. Greenery was everywhere lush pine trees were strewn about the land, lakes, and snow filled the landscape. It was a beautiful sight. Survival mode kicked in. “Okay, most importantly I need food, and water”. 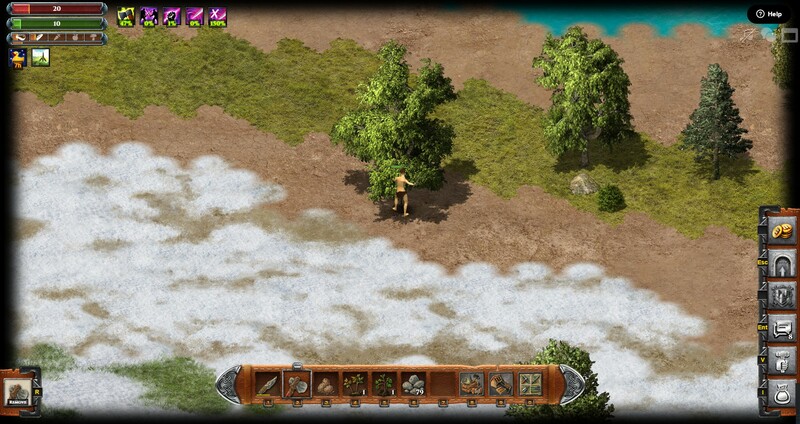 I went to a tree and tried getting anything I could to make a weapon to hunt prey. Nope the branches were to strong and tree too sturdy. I would need to craft a tool to cut down branches from the trees. On my way to this tree I noticed piles of stones in random areas. “Okay” I thought, “I could use these to make a stone knife and then use the knife to cut down branches”. I was happily collecting rocks, I only needed about three or so, but I collected one hundred and thirty. Something so damn addictive about gathering these things, something that would extend to everything in my game session. Time went by and finally I had enough rocks. I needed wooden scraps to make a knife. I explored more and right when I was about to give up, I found them. A knife was made and I quickly went from tree to tree. I cut down every branch I could so that my next tool. ‘the stone hatchet’ could be made. With the hatchet I could cut down trees for wood, and with wood I could make spears, with spears I could now hunt. Do you see the progression? It was pretty damn fun going through it, the carrot on the stick game play kept me wanting more. I won’t lie, I died a few times, I mean a fox put me to sleep a few times. Thankfully the run back to your body isn’t too long and all of your equipment is still there. I was warned however, each time I left the peaceful area. I don’t know much about it but I believe if you leave it you’re fair game for anyone to kill, so tread carefully. 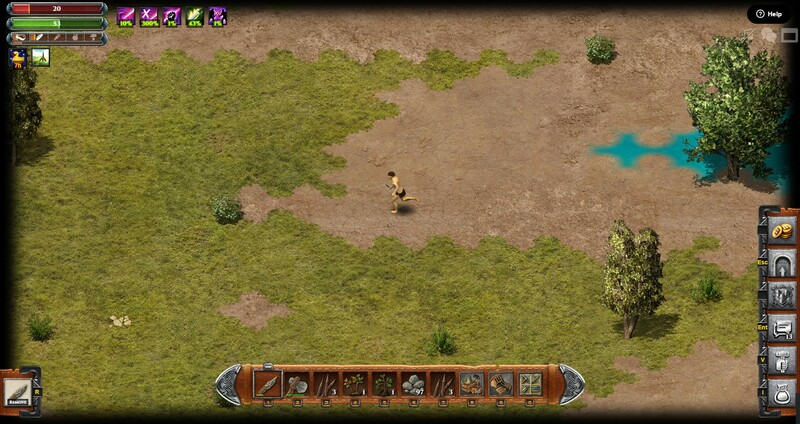 Overall I enjoyed my short session with Wild Terra Online, and I look forward to seeing what else it has to offer. NEXT POST Next post: Ty the Tasmanian Tiger more Old School Goodness!